London West, UK - W. Sitch & Co Art Metal workers premises and stock has been purchased from the liquidators. The new owners plan a careful restoration of the building which will ultimately showcase examples of the lighting made and sold on the premises throughput the history of the firm (Established 1776). 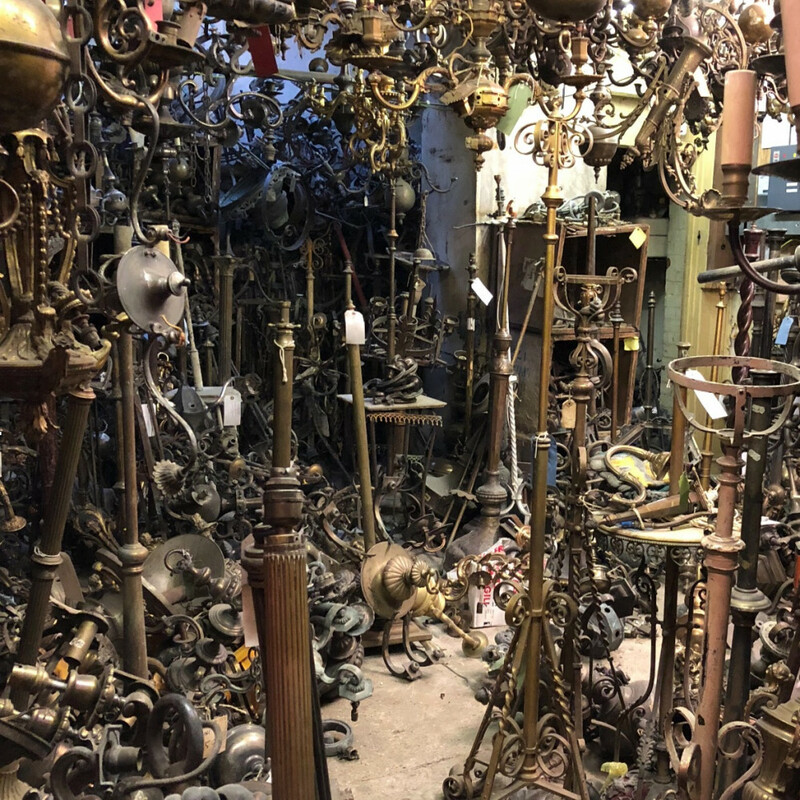 The vast quantity of antique stock and parts is being carefully sorted through with the much-valued help of Laurence Sitch. This is being done in sections and all items that are not being retained by the new owners are to be sold off and cleared in job lots and groups at regular intervals over the coming months in order to clear space for sorting through further sections. Please email: 48berwickst@gmail.com if you are interested in making an appointment.